Here’s another batch of exclusive-to-Sony game titles that I tested for seizure safety. These eight games were chosen by Inside Gaming Daily as the year’s best Playstation-only games. 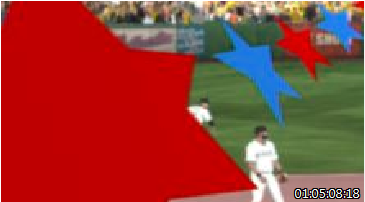 Of the eight, five contain images that could provoke seizures in viewers or players. Inside Gaming Daily chose these as the year’s best Playstation 4 2014 titles. 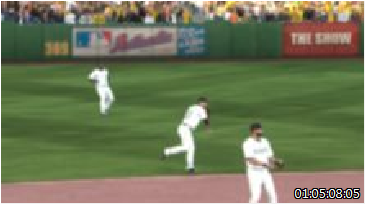 Scenes of the playing field and the stands in MLB 14: The Show don’t contain seizure-provoking sequences. But the alternating blue and red stars that occasionally scroll across the screen, between plays, for a fraction of a second are a problem. They create enough flash effect and saturated red to provoke seizures. 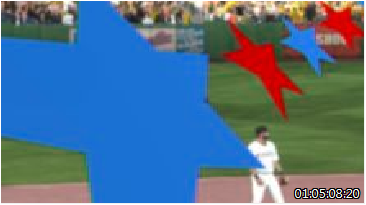 The game could be seizure-safe game just by omitting these graphics sequences. 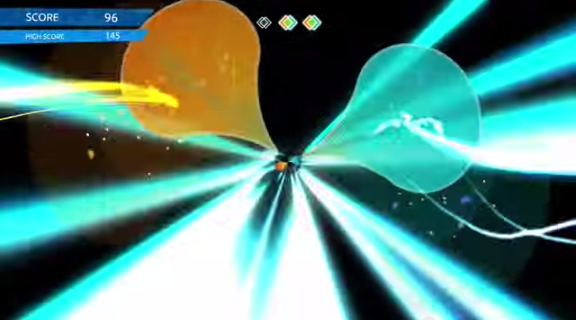 Nothing in the visual presentation of the game play itself would provoke a seizure. But these fast-moving graphics sequences that appear between plays are not in compliance with safety guidelines for preventing visually-induced seizures. …the alternating colors create a flash effect and include a large screen area of saturated red. 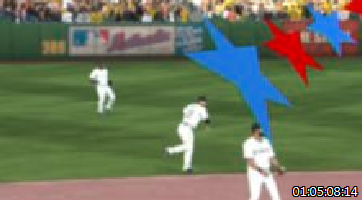 This sequence, which appears periodically throughout the game, fails the seizure safety test on both counts. Sequences submitted for analysis are video clips available online, some of which are official marketing and gameplay trailers; others are gameplay sessions posted by reviewers or fans. I do not test fans’ sequences from games that were modified with other software. I typically test at least 4 or 5 clips of a game if no safety violations are found in the first clip. 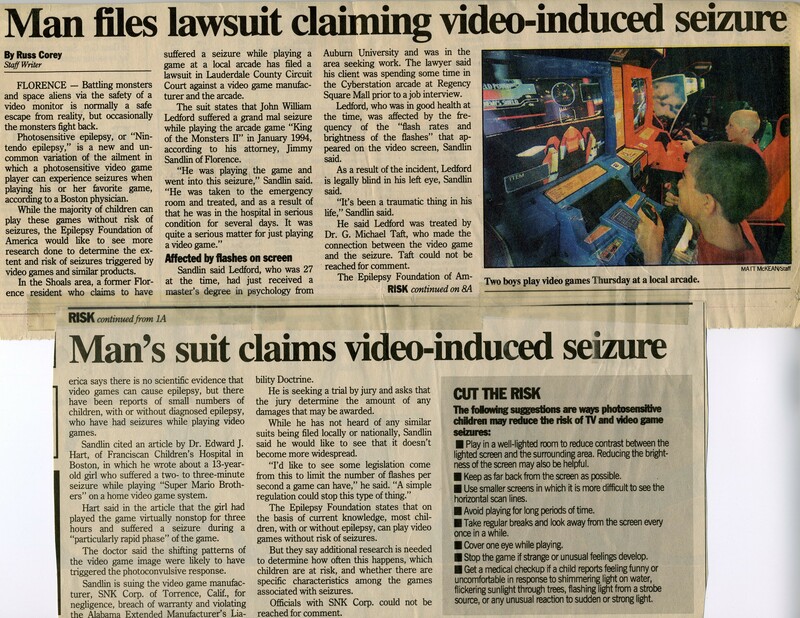 If I have a high level of suspicion due to the game genre and/or overall look of the sequences that there might be unsafe “footage” that I haven’t yet found, I may test a lot more clips. 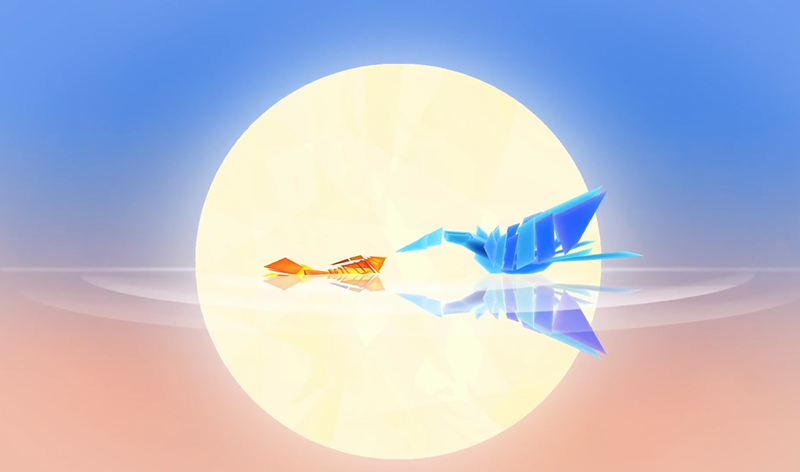 Then there are games like Entwined–as soon as I started viewing the first clip, I strongly suspected there would be seizure-provoking sequences. …but unfortunately it has many fast-moving patterns and a lot of bright flashing, too. Your results could vary. Games I’ve listed as safe could have seizure-provoking sequences that I was unable to locate. Furthermore, the seizure threshold of individuals is affected by a number of factors including illness, hunger, stress, fatigue, and the player’s menstrual cycle, among others. So a game that seems OK the first time it’s played may trigger a seizure under different conditions.